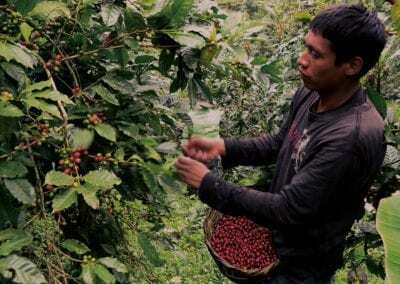 Coffee producers transitioning to specialty coffee often do not know how to best keep track of all the processes happening on their farms, as these are not yet integrated into their routine farm practices. 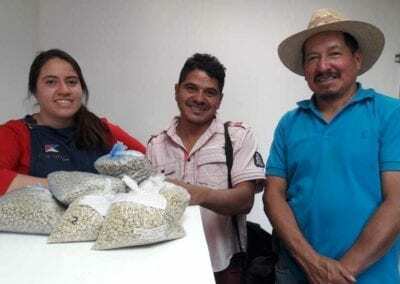 Through working with almost 4,000 coffee producers in 142 communities across Latin American, our PECA team has found that one of the key knowledge gaps for new-to-specialty-coffee producers is knowing how to correctly sample coffee at their farm. Proper sampling allows producers to increase profitability opportunities through the mitigation of risks associated with transporting entire lots of coffee, while creating efficiencies that benefit the entire supply chain. 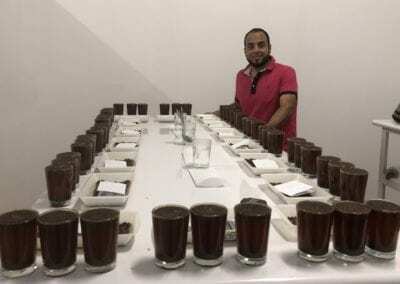 However, to start off, what do we mean by coffee sampling? 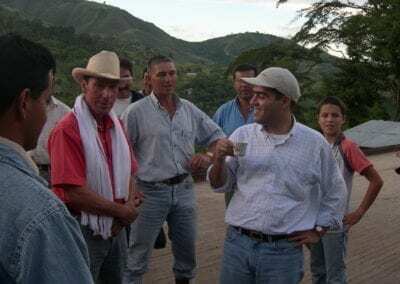 Simply put, it is the creation of a small, homogenous sample from an entire lot of harvested coffee that will end up as the formal offer from the producer to the buyer. When a producer brings in a sample to one of our warehouses and cupping labs, our QC team first analyzes the physical quality of the sample, and, if it passes this evaluation, proceeds to roast and cup it. If the sample meets our quality criteria, the producer is advised to bring the entire lot to our warehouse for purchase. When the lot is delivered, we then take a representative sample of the entire lot and compare this new sample with the producer’s initial sample to validate results. It is at this stage where problems generally occur: if the producer has not taken a sample that accurately represents their entire lot, the sample might not cup the same or have the same physical characteristics as the lot ultimately delivered. If the difference in cup or physical quality is significant enough, it could result in the lot being rejected, resulting in a loss of a sale, and added administrative and logistical costs for the producer, as well as for us. 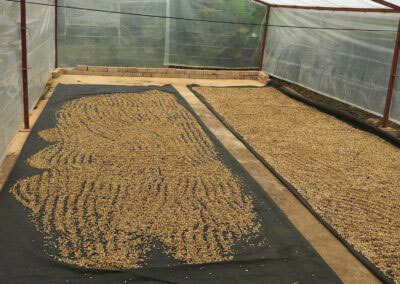 To mitigate this problem, our PECA team works hand-in-hand with producers to tackle coffee sampling at the farm level. 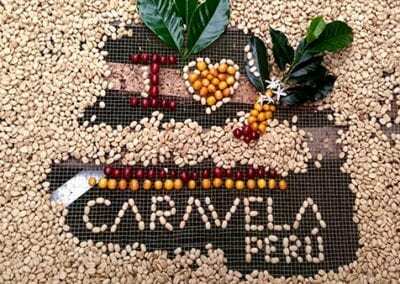 Let’s say a lot is composed of 10 bags of dry parchment. In this case, producers should take a small portion from each bag to be mixed together to assemble a representative sample. However, to achieve a satisfactory result, he or she needs to draw a small portion from both the upper and lower part of each bag, and not just from the top. After all coffee bags have been sampled, the resulting portions need to be homogenized and evenly mixed. 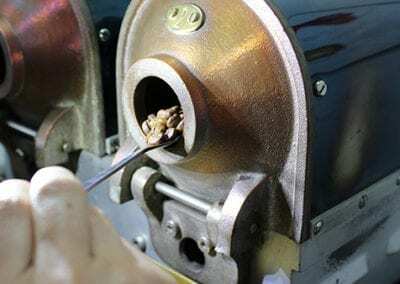 Producers are then instructed to weigh out one kilogram and deliver it to our purchasing labs. It is also crucial for producers to use the right type of bag to store their sample; an off-smelling bag or one that’s been used to store something else can easily have a negative impact on cup quality, resulting in sample rejection. Finally, it’s necessary to properly mark or identify the sample so that we know who it belongs to, as our labs receives hundreds of samples. 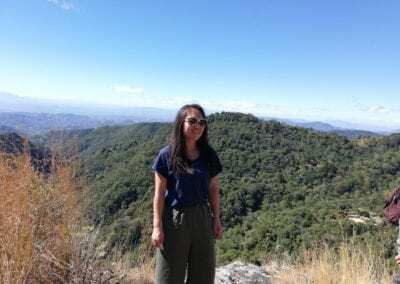 For Caravela, it is essential to empower producers with knowledge about how to ensure quality, as it allows for better-tasting coffees, greater opportunities and higher prices. Therefore, PECA works with producers in order to achieve mutually beneficial results while creating a better working culture. Coffee sampling at the farm level is critical due to the long distances and costs incurred in transporting coffee from farms to our purchasing warehouses. 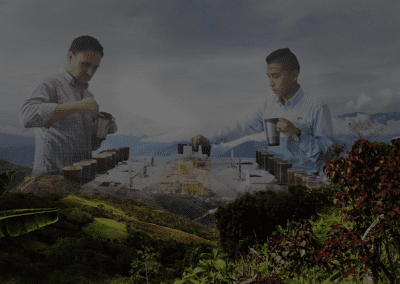 We strive to locate our purchasing stations as close to producers as possible, but beating the geography in Central America’s volcanic ranges and the Latin American Andes is quite challenging. 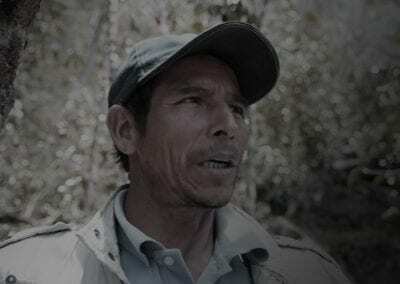 For instance, a Guatemalan farmer located in San Pedro Necta, Huehuetenango, will have to travel over mountain ranges via bumpy roads for hours just to deliver a sample. Many farmers do not possess the resources to transport coffee and will therefore need to rent a truck or find another form of transport. Bringing a truly representative sample of a lot of coffee to the point of sale allows it to be analyzed with minimal risk of losing time or money. 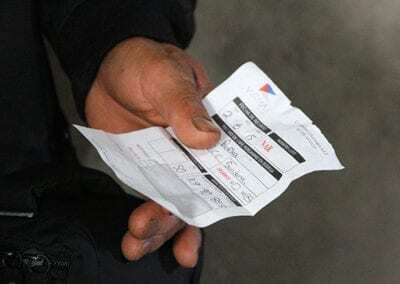 If the sample has been correctly drawn and is approved, producers can be assured that the cost of transporting the coffee to the purchasing station warehouses will be worth it. We urge producers to seek solutions that steadily and progressively help them achieve better results, without the need to make large investments or incur debt. 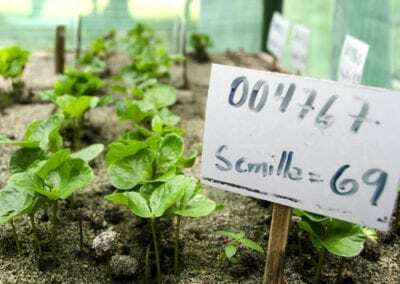 Coffee sampling at the farm level has proven to be an effective practice that enables producers to find their coffee's rightful quality grade (and the earnings that accompany it) without the risk of transportation with no guaranteed sale. Most of the work carried out by our PECA team revolves around how to take better care of coffee, to encourage better farming practices through simple and achievable changes. This is the reason why PECA’s on-the-ground work is so valuable and forms the backbone of our model, as ultimately it creates a more sustainable situation for the farmer. However, PECA is more than just agronomy, and coffee sampling is one of the many ways that our team on the ground helps farmers evolving their practices to find solutions for potential challenges. For our own operations it is also uppermost in mind that when we commit to buying a coffee based on a sample, the sale comes through as expected. Fulfilling forward contracts with roasters - and the planning those contracts facilitate - become impossible if the delivered coffee does not possess the qualities and attributes needed by the buyer to begin with. 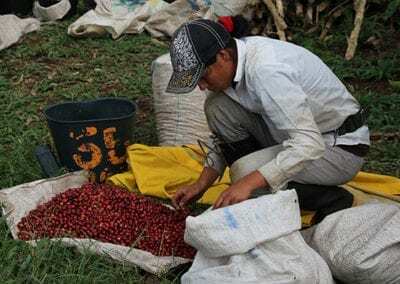 Coffee producers transitioning to specialty coffee often do not know how to keep track of all the processes happening on their farms, as these are not yet integrated into their routine farm practices. Through working with almost 4,000 coffee producers in 142 communities across Latin American, our PECA team has found that one of the key knowledge gaps for new-to-specialty-coffee producers is not knowing how to correctly sample coffee at the farm. Proper sampling allows producers to increase profitability opportunities through the mitigation of risks associated with transporting entire lots of coffee, while creating efficiencies that benefit the entire supply chain. However, to start off, what do we mean by coffee sampling? Simply put it is the creation of a small, homogenous sample from an entire lot of coffee that will end up as the formal offer from the producer to the buyer. When a producer brings in a sample to one of our warehouses and cupping labs, our QC team analyzes the sample for physical quality, roasts it and then cups it. 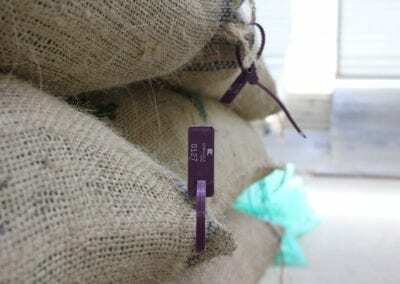 If the sample meets our quality criteria, the producer is advised to bring the whole lot to our warehouse for purchase. When the lot is delivered, we then take a representative sample of the entire lot and compare this new sample with the producer’s initial sample to validate results. It’s at this stage where the problem generally occurs: if the producer has not taken a sample that accurately represents their entire lot, the sample might not cup the same or have the same physical characteristics as the lot ultimately delivered. If the difference in cup or physical quality is significant enough, it could result in the lot being rejected, resulting in a loss of a sale and added administrative and logistical costs for the producer, as well as for us. 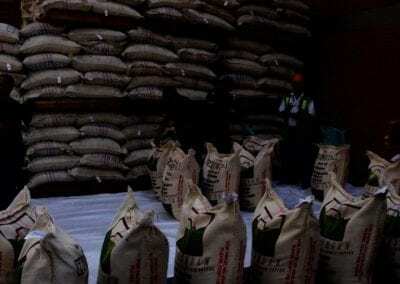 To mitigate this problem, our PECA team works hand-in-hand with producers to tackle coffee sampling at the farm level. Let’s say a lot is composed of 10 bags of dry parchment. In this case, producers will have to take a small portion from each bag to be mixed together to assemble a representative sample. To achieve good results, he or she needs to draw a small portion from the upper and lower part of each bag and not just from the top. After all coffee bags have been sampled, the resulting portions have to be homogenized and evenly mixed. Producers are instructed to weigh out one kilogram and bring it to our purchasing labs. It is also crucial for producers to use the right type of bag to store their sample; an off-smelling bag or one that’s been used to store something else can easily have a negative impact on the results when cupping, resulting in the sample getting rejected. Finally, they also have to properly mark or identify the sample so that we know from whom it is as we can receive hundreds of samples in our labs. 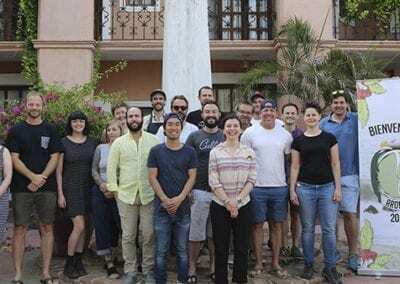 For Caravela, it is an utmost priority to empower producers with knowledge on how to assure quality as it allows for better-tasting coffees, greater opportunities and higher prices. Therefore, PECA works with producers in order to achieve mutually beneficial results while creating a better working culture. Coffee sampling at the farm level is important due to the long distances and costs incurred in transporting coffee from the farm to our purchasing warehouses. 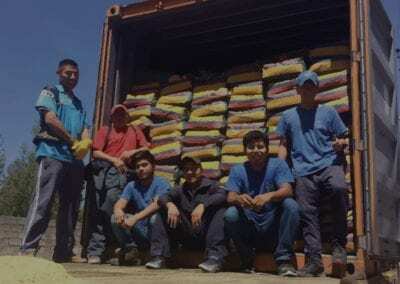 We try to locate our purchasing station as close as possible for producers but beating the geography in Central America’s volcano ranges and the Latin American Andes is quite challenging. 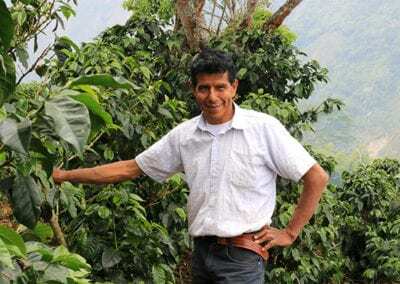 For instance, a farmer located in San Pedro Necta, Huehuetenango, Guatemala, will have to travel through mountain ranges and on bumpy roads for hours just to deliver a sample. Many farmers do not have the resources to transport coffee and therefore have to rent a truck or find another form of transport to do so. Bringing a representative sample of a lot of coffee to the point of sale allows it to be analyzed with minimal risk of losing time or money. 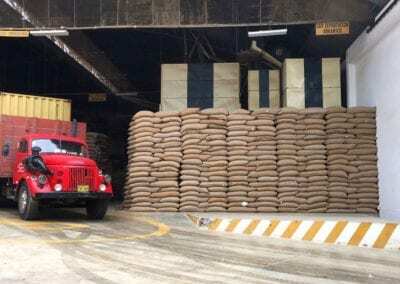 If the sample has been correctly drawn and is approved, producers can be assured that the cost of transporting the coffee to the purchasing station warehouses will be worth it. We urge producers to seek solutions that steadily but progressively help them achieve better results without the need to make large investments or by taking on debt. All in all, coffee sampling at the farm level, has proven to be an effective practice that allows producers to find their coffee's rightful quality grade and maximize earnings without the risk of transportation with no guaranteed sale. Most of the work carried out by our PECA team revolves around how to take better care of coffee, to encourage better farming practices through simple and achievable changes. This is the reason why PECA’s on-the-ground work is so valuable and forms the backbone of our model as ultimately it creates a more sustainable situation for the farmer. However, PECA isn’t just agronomy, and coffee sampling is one of the many ways that our team on the ground helps farmers with practical changes to find solutions to potential challenges. For our own operations it is also of the upmost important that when we commit to buying a coffee based on a sample that the sale does in fact come through as expected, as fulfilling forward contracts with roasters and planning for the future becomes impossible if the expected coffee cannot be used.